Christmas is around the corner and what better time to start considering presents for those close to you! 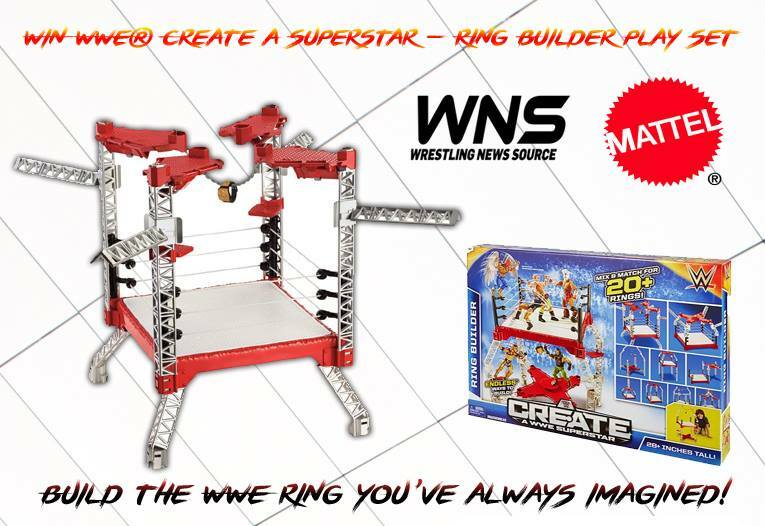 We are giving one lucky reader of WrestlingNewsSource.com the chance to win the newly released WWE® Create a Superstar - Ring Builder Play Set in association with Mattel. It's the ultimate stage. The place where all the action happens. It's the WWE™ center ring and now YOU can create your very own! Mix-and-match —turnbuckles, ropes, mats, and more—to create a ring that's never been seen before in the history. Build your ring, brawl it out with your 6-inch Superstars (sold separately) and recreate the excitement of WWE™. - Tear it down, rebuild and start the action all over again. - Create a one-of-a-kind WWE™ world with Create A WWE™ Superstar figures (sold separately). - Recreate the excitement of WWE™! Click Here to ORDER NOW or ENTER OUR COMPETITION BELOW. Don't forget to Follow Mattel on Facebook & Twitter for all the latest WWE Merchandise.